Each year about 1.3 billion tons of food is wasted and at the same time about 800 million people do not have access to sufficient and nutritious food (Global FoodBanking Network, 2014). This figure represents roughly one third of food produced for human consumption. Food can be either lost or wasted throughout the supply chain, from initial agricultural production down to final household consumption (FAO, 2011). The Cost of Hunger in Ghana report by the National Development Planning Commission in 2016 shows that Ghana loses GH¢ 4.6 billion which is equivalent to 6.4 per cent GDP annually to hunger among children and 24% of all child mortality cases in Ghana are associated with under nutrition. In many cases, fresh products are rejected by large supermarket chains if they do not meet certain quality standards such as shape, size and appearance, regardless of their suitability for human consumption. In addition, many retail chains discard products before their expiring dates claiming that the products either are unsellable or generate negative image to the retailer. Consumer’s attitudes and the consumption culture also play their part as they reject food that is in good condition but with “not-so-good” appearance. Foods that have reached households are also wasted because they turn unsuitable for human consumption. Restaurants and hotels are other stakeholders within the food waste menace, because of the large portions served to customers. Since not all the portion is consumed, the rest will end up in the garbage bin. The PNDCL 3058 Food and Drugs Act.1992 does not make explicit provision for food donations which has resulted in little contribution towards reducing hunger in Ghana by some stakeholder’s within the food supply chain.The Ghana School Feeding Programme been an initiative of the comprehensive Africa Agricultural Development Programme (CAADP) Pillar 3 which seeks to enhance food security and reduce hunger in line with the United Nations (UN) Millennium Development Goals (MDGs) on hunger, poverty and malnutrition had since 2007 been implemented to encourage child enrollment through the provision of one meal per day. Currently the National School Feeding program faces challenges such as expansion and caterers demand for increase of the cost from Gh¢0.80p per child however with a National Food Donors Encouragement Act, private stakeholder businesses in Ghana will donate their excess towards the program. A study by Food for All Africa programme between 2015-2016 showed that 92% of stakeholders in Ghana’s food supply chain agreed that, with a national regulation mechanism they would want to donate their excess food to the vulnerable rather than waiting for it to go waste and dispose off. The National Food Donors Act will protect persons or gleaners making good faith donations of food or grocery products to non‐profit charitable organizations such as orphanages, schools and vulnerable communities are protected. A “gleaner” is someone who harvests donated agricultural crops. Good faith/CSR donations, made to non‐profit organizations, ultimately going to those in need are protected. 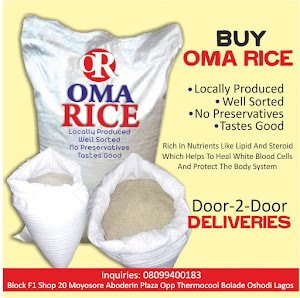 If the donation is made in good faith (honestly and with sincere intentions), the National Food Donors Encouragement Act will exempt those donors from civil or criminal liability which might arise from the donation’s nature, age, packaging or condition. The law will also protect donors of food that is “fit for human consumption,” regardless of compliance with food labeling/ packaging laws and storage/handling by the recipients. Under the Food Donors Encouragement bill, gross negligence is a much higher standard than ordinary negligence. Gross negligence should mean that a donor (or recipient organization) knew when it acted that its conduct was likely to harm someone else, and consciously acted (or failed to act), regardless of that knowledge. Food for All Ghana programme makes the surplus food donation process easy, by picking up and transporting food and grocery item donations to the places and programs that need them. This helps valuable programs stretch their limited budgets during a time of decreasing government and foundation funding, keeps edible food out of landfills, and most importantly, helps hungry people have better access to a nutritious meal. 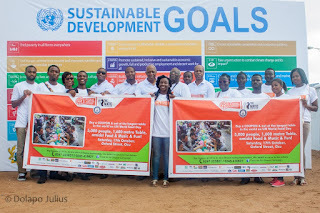 Food for All Africa has since 2015 been operating West Africa’s first community food support centre and have created a forum for stakeholder’s within Ghana’s food supply chain to work together towards reducing hunger in Ghana and accelerate Ghana’s effort in attaining the UN SDG 2 and 12. 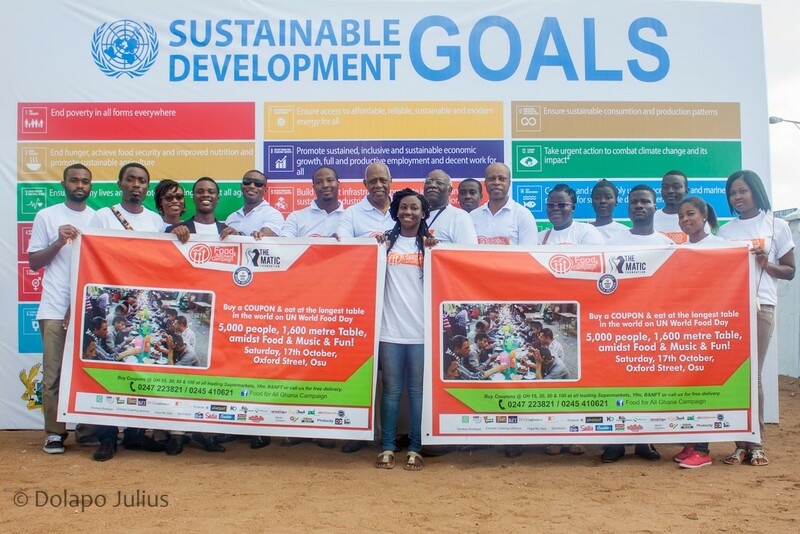 Pix: Food for all campaign on food donation bill in Ghana. Go with pure vegetarian restaurants in Nagpur and non veg lovers may select best non vegetarian restaurants in Nagpur who gives delicious and maintain hygiene.